From Domini Games, the studio that brought you Dark Romance series, comes the latest adventure in the Labyrinths of the World saga! 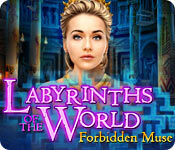 Labyrinths of the World: Forbidden Muse is rated 3.5 out of 5 by 12. Rated 5 out of 5 by Uppity_Pup from I Like the Little Helper Some reviewers have been unhappy with the helper being a Barbie type doll. I think she is cute and the costumes they've come up with are really fun. The whole game is filled with unique challenges, the graphics are awesome and overall it's a great little game. Give the demo a try and see for yourself. Rated 4 out of 5 by skullfun from Labyrinths of the World 2 is a good sequel... Labyrinths of the World: Forbidden Muse is the follow up to Labyrinths of the World: Shattered Soul, but it doesn't measure up to the first installment. Your quest is to help a Muse named Calliope restore her soul. Her soul has been split into 3 pieces in 3 locations. You encounter a man named Owen who yields an Amulet that opens the locations. You soon begin to wonder if Owen wants to help you retrieve the 3 essences (pieces# of her soul or does he have other plans? Along the journey you acquire a magic paintbrush to create life, a tuning fork to disperse evil, and a book to banish creatures. With your side kick Harlequin #a weird little doll you change clothes/gear) who helps you retrieve inventory, you progress thru each location. It's not a new story, but I did enjoy it. I just enjoyed Shattered Soul more. CE bling is the usual with collectable olive branches and coins, extras, ect. Bonus Chapter is not relative. In hind sight I would have chosen the SE version. Demo before purchasing. 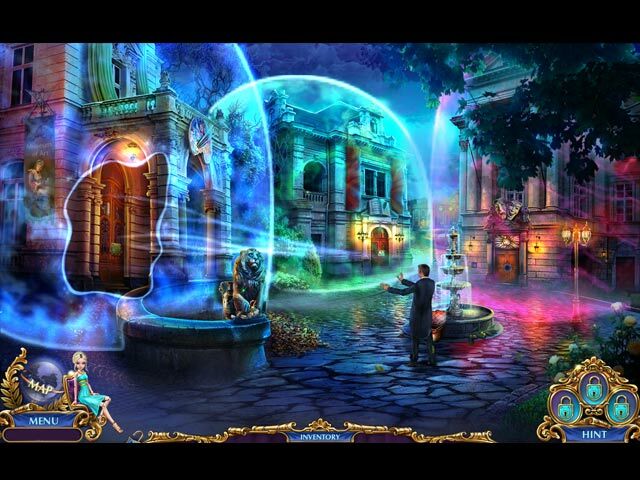 Rated 4 out of 5 by JeannieT_LFP from Delightful game Hidden object games are not my favorite (I purchased it because of the lack of TM games), so I was delightfully surprised at much I enjoyed this game. Among other things, I appreciated the flexibility of being able to customize my settings. Although I usually select HO alternatives whenever offered (in this game, Match 3), because of the diversity and quality in this game -- no dark scenes with tiny, barely recognizable items -- I found myself opting to play the HO scenes most of the time. Must admit I was happy to switch to Match 3 if I hadn't quickly found the last couple items. I enjoyed the quality and variety of the mini-games, including some types I had not seen elsewhere. I'm not sure why other reviewers were unhappy with Harlequin, as I appreciated the "heads up" about a needed future action. Finally, I appreciated the game organization: three "chapters" plus a concluding section. This type of organization allows me to play one section then, when I come back later, I don't have to rediscover what went on before. In this case, however, I played straight through and truly enjoyed doing so. 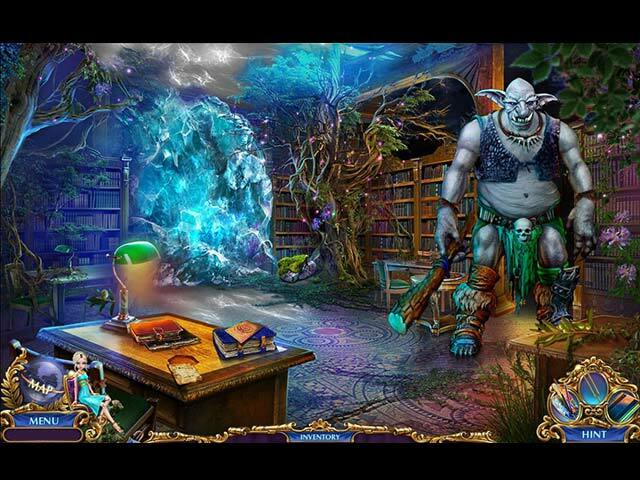 Rated 4 out of 5 by vmomahhj from Labyrinths of the World: Forbidden Muse This is a good game,a little long,but very well worth the time. Rated 4 out of 5 by grapeleaves from I took a chance.!!!! I did not purchase the CE. 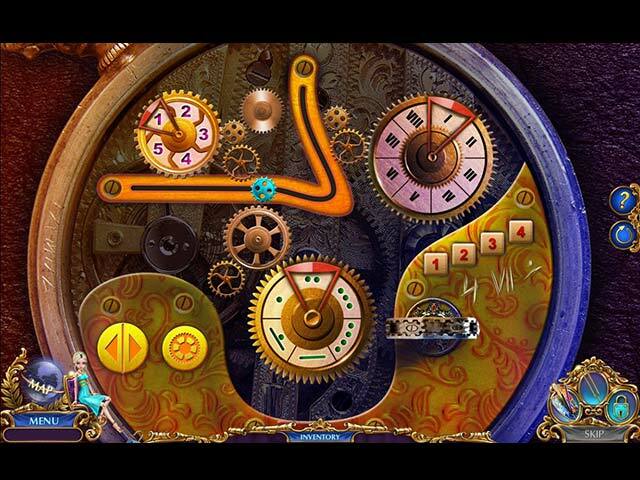 I played the trial not found of shapes and did not get to any hidden objects I love. I had a free game and took a chance. My hidden objects finally appeared now I am enjoying the game. Rated 4 out of 5 by dancemom1 from Makes a much better SE! Hello friends! Okay, I gave the SE a shot and find that this game makes a far better SE than a CE (see shortened CE review below). Yes, I am purchasing the SE version and still stand by my original review of the CE. "Well, we have number 2 in this series. Yep, got the first one, but honestly can't remember that much about it. This one has wonderful colors, very clear and true. Graphics are very well done and animation movements are fairly smooth and life-like. Game play was very good. Music was rather soothing and nice. Voice overs are great, but then again, I love a good accent. They are well done and didn't sound like someone was just reading a script. You can click through dialog without eliminating the entire story, if you read faster than they speak. I did think it a bit odd that out of the blue, you get a phone call giving you an assignment and if you do well, you will become a member of an agency. Is that how it works? Hmmm... HOPs are interactive silhouettes and nothing new. They are clean and clear and items are not difficult to find. Puzzles are very easy and again, nothing new or exciting. Hint system works quite well and does transport to longer locations. Didn't even look at the SG, but I seldom do anyway. You have a creepy "Harlequin" doll that follows you around and waves frequently, but only when she can do something to help you out. You find outfits to dress her in and without them, you will not be able to complete a particular task. This was silly and not necessary to this game. Collectibles: You find vases to break to collect coins to purchase interface decorations. Why, they don't do anything to enhance the game. You also find olive branches, which will allow you to purchase items in Calliope's boudoir...yay. Disappointing and boring. There seems to also be 3 items you will find as you progress, that will help you do things in the game, e.g. pallet that brings pictures to life, which in turn help you accomplish a task. There is absolutely no challenge in this game, which is not always necessary for me, but it didn't really have anything else either. I think the best part of this game is Calliope. She is quite evil and very well done, but I don't get the "collecting of Calliope's essence." Did I miss an explanation in there somewhere? I obviously did not collect any during the demo. Beginners might find this one challenging, and this is the only reason why I recommend the CE. Personally, I do not feel this is CE worthy." As always, try it for yourself and see what you think. We all have different tastes in games and you may find this one to be exactly what you are looking for. Thanks for the reviews. Rated 3 out of 5 by lisa107b from Short story, quite abrupt ending I'm fairly new to these games, but I have to say having tried this out I was a little bit disappointed. The story was quite short but very engaging, although the various parts of the game felt themselves a bit isolated with little connecting them. Calliope's 'essence' was split into three parts by parties unknown, and our job is to find the pieces and bring them together again to heal her. The main story is split into these three sections and a fourth as a conclusion. There are some light-hearted moments and the puzzles weren't too challenging; I didn't have to use the hint or skip buttons once. But if you're looking for a good 'bang for your buck' there are better alternatives out there. Rated 3 out of 5 by pennmom36 from Calliope Crashed To The Ground Calliope, the patron muse has been blinded by the light. A dark force has torn Calliope's essence into three pieces, sealing them behind magical barriers within the town's fine arts buildings. This once delightful muse inspired her people to become talented artists, who are truly passionate about their gifts. She graciously provided them with magical tools to enhance their God given talents, and people adored Calliope. With Calliope's essence torn to shreds, the creativity of these talented people have hit a brick wall! Who is responsible for stifling such talent, and why is Calliope so angry? Solve this case detective, and you are guaranteed a permanent position in the agency! This is a very uninspiring game, I had a difficult time getting into the storyline much less keeping up with all the weird features. The strangest feature by far is the Harlequin Doll helper which is just a generic barbie doll. I'm supposed to be a detective (Essence Detective?) why on earth would I have a barbie or a "harlequin" doll, it makes no sense! It becomes even more ridiculous when you come across several teeny tiny outfits so you can play dress up . Why are there doll outfits in an art gallery? Why does Harlequin have to change her outfit to fix a leaf blower and then again to ring a bell? The Collector's Edition has collectible Olive Branches that will allow you to upgrade Harlequin's not so humble abode with tapestries, statues, fireplaces and other random decorations. The Collector's Edition also has Coins hidden throughout the game inside vases you must bust open to access. If you think about it, one of the artists Calliope inspired, worked hard on those beautiful vases, can't I simply turn the vase over and shake the coins out? The collected coins can be used in the Interface shop to purchase upgrades to make your inventory bar and icons a wee bit frillier. (this will come in handy for my detective credentials) Both editions have a special abilities feature such as a Magic Palette to paint a sketch which brings the painting to life, and eventually two other Magical Objects in the full version. When the baby dragon came to life, I got excited, at least he was cool, especially when he made himself at home in the pigeons nest, but he didn't stick around. The Hidden Object Scenes are basically the same type, either Sketches or Silhouetted Shapes to find in a Progressive manner, such as finding one item and then using that item back in the scene to uncover the next item that matches the shapes shown. The Mini Games are way too simple, most can be figured out without even reading the directions. To mention a few, a labyrinth that requires you to use directional arrows to guide the ball to the end of the maze, pressing a "play" button to see the correct positions to swap nymph statues to. If I have to pick a favorite it would be the scales game where you equally balance each side by choosing connected numbers on both the left and the right, using all the numbers and the numbers cannot jump over other numbers. The Collector's Edition has Wallpapers, Concept Art, Music, an Interface Shop, a Gallery, Collectible Olives and Coins, 23 Achievements, a built in Strategy Guide and a Bonus Chapter, enjoy!